Live out all of your millennial dreams by playing as some of your favorite YouTube and Twitch stars by downloading this free DLC pack. It includes notable stars such as JackSepticEye, ZombiUnicorn, EatMyDiction, and ThinkNoodles. The Crush Your Enemies "Plundered Loot" DLC contains a collection of additional goodies that any Barbarian would be proud to pillage from nearby villages. Go back to the days when you thought real time strategy games were awesome. 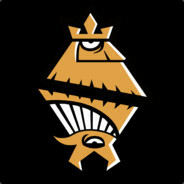 Crush Your Enemies has everything you like in strategy games - planning, choosing different types of units, managing resources, taking enemy territory and outwitting your opponent with the ingenious formations of your men. A Ridiculous local 1v1muliplayer Insult Simulator for two!